1. 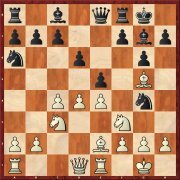 Win with Plan B: Aronian analyses his game against Naiditsch at the Grenke Classic: with an exchange sacrifice, a king hunt and an alternative solution. 2. This is how child prodigies think: 12-year old Nihal Sarin from India presents for you his win over GM Bluebaum (video). 4. “Strategically completely irrational”: Mihail Marin shows you what has been happening in recent years in the French Winawer Variation. 5. 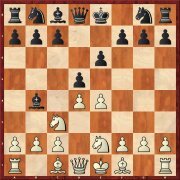 Speculative and spectacular: Enjoy Kramnik’s rook sacrifice for three pawns and a consternated Harikrishna! 9. Popular and dangerous: Adhiban delivers with his attacking win over Swayans further proof for the potential of Queen’s Pawn games. 10. 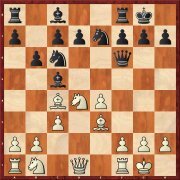 Declining the gambit and still getting an advantage: Krisztian Szabo knows why you do not need to fear 3…f5 in the Ruy Lopez. Although the world champion himself did not win against this variation (against Adhiban, Wijk 2017), Petra Papp convincingly shows that White can count on a nice advantage with this line of the Scandinavian. Instead of the usual 7...Nd7 to take control of the e5-square, 7...e6!? allows the knight sortie. 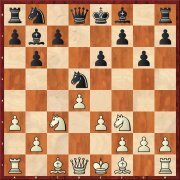 In the position in the diagram the usual move is 11.f4 upon which Lars Schandorff recommends 11...Be7, immediately attacking the h4-pawn. White seems to have no chance of an advantage. A safe counter against the Najdorf-avoiding variation 5.f3 is offered by Igor Stohl in the form of the immediate counterthrust in the centre. 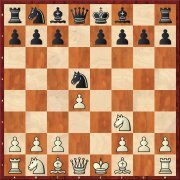 Above all, after the required 7.Bg5 you immediately have in 7...Be6 and 7...d4 two good possibilities to get a satisfactory game. As Robert Ris demonstrates in his article, White can count on a safe advantage when facing 10...e6. But a more critical move is 10...e5, though even then things are not easy for Black. But perhaps he can keep things on a level keel with a rarely played move. Georgios Souleidis explains that this is of course only a surprise weapon. Black ought to be able to equalise in several ways, but the author’s investigations also make it clear that there are still some blanks in the theory of this variation. In the Alekhine Gambit there have in recent years been a few new developments which Nadezhda Kosintseva examines in detail. Black can equalise of course, but in doing so he should not under-estimate the difficulties which crop up. 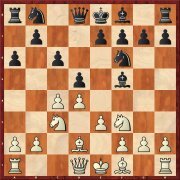 As Jonas Lampert establishes, 8...b6 has almost completely replaced the older 8...Bb6. 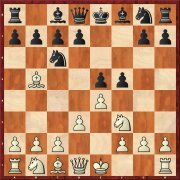 From Black’s point of view what is especially attractive is the fact that 9.f4?! 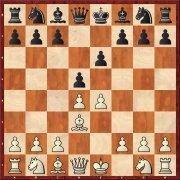 is the most frequently played move, but that after 9...d5! Black is the one at the steering wheel. Compared to the more frequently played 4.Nc3 the move 4.d3 looks really tame. But in his repertoire suggestion Krisztian Szabo shows that White can count on a secure advantage in all lines. 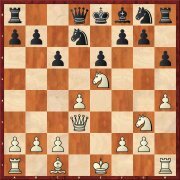 The position is also often reached via 4.Nc3 a6. The rarely seen bishop move has been played above all by Nikita Vitiugov. 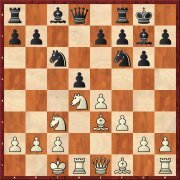 As Alexey Kuzmin shows in his article on the DVD, White has excellent chances of getting a small opening advantage. 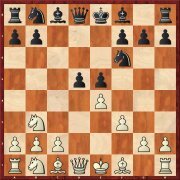 With the fianchetto move 7...g6 Black is aiming for positions which are reminiscent of the Grünfeld Defence. Evgeny Postny is of the opinion that White is well advised to react dynamically. Nevertheless, in each case Black has several possibilities for equalising. Renato Quintiliano advocates a variation for White which Dejan Bojkov had already examined six years ago in CBM 141, but on that occasion from the point of view of Black. But recent developments permit the conclusion that White can get an advantage.